Please check the Documents Tab (under More in the header) for updated forms. You may turn these forms in at the band camp parent meeting or at any practice prior to leaving for band camp. Some forms may require a doctor's signature, so please review as soon as possible. 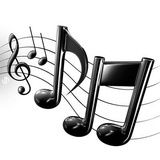 The LHS Spring Band and Choir Concert will be held on May 15, 2017 in the High School Auditorium. The London High School Thespian Honor Society will host a cabaret show again this year. The show will be held on May 4, 2017, at London High School, and on May 7, 2017, at West Jefferson High School. More details to follow. LHS Showchoir has qualified with straight superior ratings for the third year in a row for State competition. Mr. Tanner has requested Friday, April 28, 2017, as competition date...more info to come. 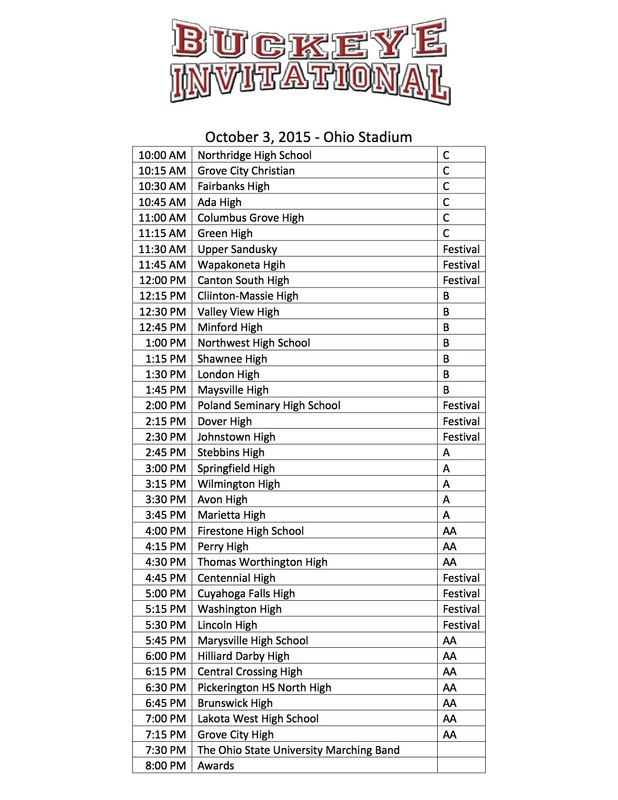 London marching band will play the Shoe on October 3. We're slated to play at 1:30. To all parents that have children with prescription medication needed at band camp: We need them to go to the Londonredraidersmusic.org website and print off the "London City Schools Physician's Request for the Administration of Medication by School Personnel" form. It needs to be completed & signed by their doctor or nurse practitioner before your child can go to camp. If the link above does not work, visit Londonredraidersmusic.org and click the More tab, then Document tab, and then click on PHYSICIAN FORM FOR RX. If your child is not taking any prescription meds, they do NOT need to complete this form. If you do not have access to a printer, Mrs. Fugate has some copies printed out the forms and would like to give them to the students at practice tonight to have their parents/guardians complete & obtain a MD or CNP signature on this form. I realize there is not much time for this, however, I need these forms completed PRIOR TO LEAVING FOR BAND CAMP. *Member names are listed in placement order with section leaders at the top of the list. **I reserve the right to add or subtract students from the list or move them around in the section at any time. ***This list is my r​ecommendation​for who should be placed in chamber ensemble for the 2015­2016 school year. We are going to try very hard to avoid any scheduling conflicts that would prevent you from participating in this group. However, there is a chance you may have a class that conflicts with chamber ensemble and you will be asked to make a choice between the two. Every effort will be made to prevent this as you have all worked hard to gain membership into this elite ensemble. As we end our school year I am starting to hear the usual talk of “switching instruments.” Before we end the year I would like to take a moment to tell you my official thoughts and stance on this matter. Band students go through an instrument fitting process at the beginning of their band career. We have the students do this so a music professional can work with them and help them determine the best instrument choice for them. The truth is, the grass is not always greener on the other side. Even if their friend plays another instrument they will still be together in class no matter what they play. (Most of my best friends in band played a different instrument than I did.) If they feel bored or can play the songs we are doing in class now things will change next year. We group the middle school bands by ability. They have the opportunity to play more challenging music and advance to a higher-level band with practice and hard work. If they are struggling, switching to another instrument is only going to put them a year or two behind everyone else. The bottom line is, I want students to stick with the instrument they originally chose to play. In rare, case-by-case situations, with my advanced approval students are permitted to switch. I make these selections based on the instrumentation needed for our ensembles, the student’s ability level and what will be best for the individual student. Please encourage your child to stick with the instrument they chose to play. I ask that you contact me with any questions or concerns before you make any decisions. The goal is to keep everyone in band on the instrument that fits them the best and that they enjoy playing ☺ I am here to guide you and your child to a successful band career. Thank you and have a great summer!!!! For those who would like to listen to the songs the London High School Marching Band will be peforming next season. here are links to the songs. The first link does not have a complete version of "Mars" but the second link does.